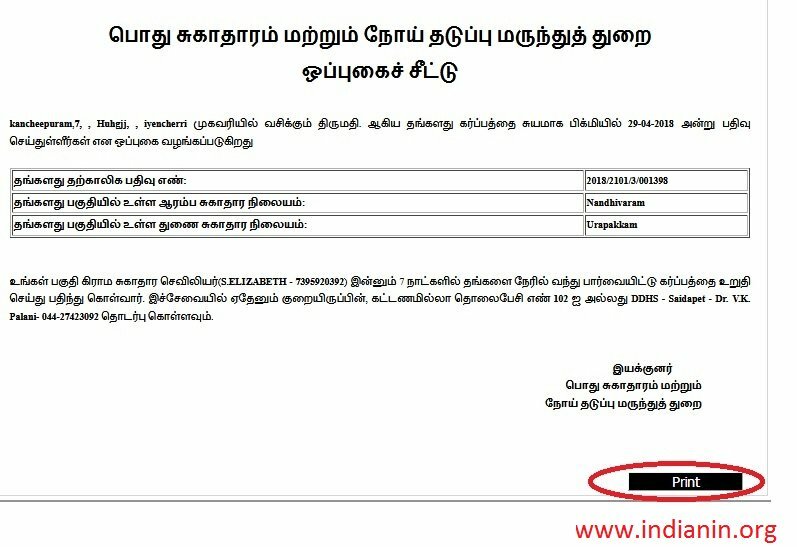 The Public Health Department in Tamil Nadu State has announced the Pregnant women registration mandatory to apply for Childs Birth Certificate. ** The facility has been provided by the state government and health department online via web portal services. ** The registration has been made compulsory so that immediate after the delivery, child can be registered for birth certificate. ** The facility will be offered to the expected mother from various Health care centers. ** The number is issued to the expected mother from the health care center of the village at the time of registration during ante-natal stage. The registration is done by the mother in the same hospital where she would give her delivery. ** This step will ensure the state government that each woman in the state is at least registered at the time of pregnancy. ** The facility is available in most leading and government health care centers, hospitals and primary health care centers. ** Expected mothers can also contact the local nurses or Aanganwadi center workers for collecting the 12 digit registration code. Go to the Official website click on the “Registration Link” Registration form will be opened. ** The process for application is available at all village level CSC (Common Service Centers). You can also reach them via 102 toll free number. Step 3 : Then Displayed the list click on particular name “Acknowledgement” button and get your details. Step 4 : Click on the Print button to get your acknowledgement copy.